For clarification purposes, the top picture is a rice cracker with pork floss. 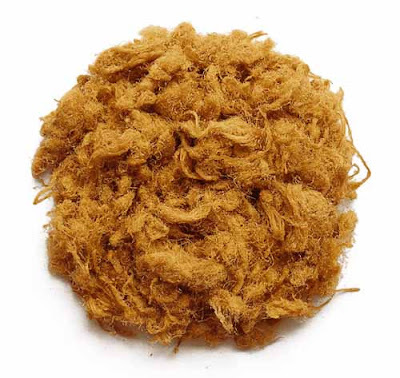 Pork floss is dried shredded pork. It tastes a lot better than it looks, I promise. However, I just can't eat something that looks like an owl pellet. 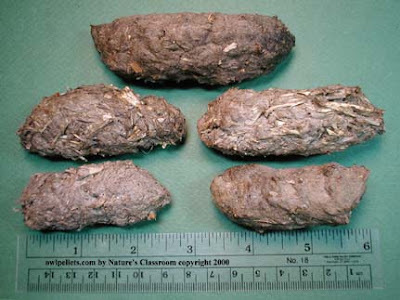 I dissected one in Science class and I remember what was hidden under the fuzzy stuff. Hey, I'm with you, I don' know if I could eat that either. I think if I finally got over the look, I wouldn't be able to stomach the texture. Everybody's got their issues. I do not like to eat "blue" food. Blueberries are fine....but I'm talking about artificially colored blue yogurt, ice cream, cereal pieces, candy, gum, etc. It's just wrong.